Endowed with a running style once likened to a “berserk billy goat” by Chicago Tribune sportswriter Ed Prell, Ted Fritsch led the Packers in rushing during the regular season and then scored both of their touchdowns in the title game en route to their winning the 1944 NFL championship. Two years later, Fritsch, who also was a kicker, led the NFL in scoring and was a consensus all-pro. When he finished his career, Fritsch ranked second to Don Hutson on the Packers’ all-time scoring list with 380 points and was their third-leading rusher with 2,200 yards in 620 carries, a 3.5 average. 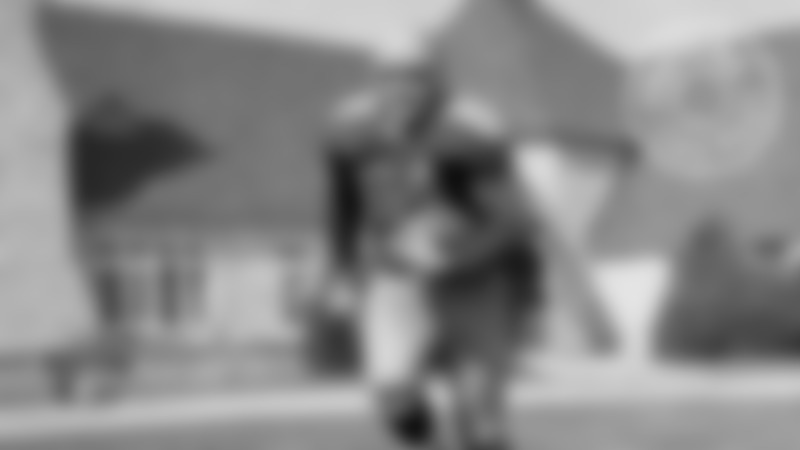 In the Packers’ 14-7 victory over the New York Giants in the 1944 NFL championship, Fritsch flashed his power by scoring on a 1-yard, fourth-down plunge and also showed how surprisingly nimble-footed he was for a low-slung, bull-like runner by turning a pass in the flat into a 28-yard touchdown reception. In fact, early in his career, Fritsch led the Packers in kickoff returns in back-to-back seasons.  He also played linebacker at a time when players were still doubling on offense and defense, and intercepted 10 passes in his career, including six in 1944. In 1942 and ’45, Fritsch was called on for most of the Packers’ field-goal attempts.  He became the featured placekicker in 1946 following Hutson’s retirement, and led the Packers in scoring over the next four seasons. On Nov. 9, 1947, in a game at Wrigley Field against the Chicago Bears, Fritsch kicked the first 50-yard field goal in Packers history. He booted a 52-yard field goal on Oct. 19, 1950, against the New York Yanks that stood as the club record for 31 years. Paul Hornung tied it in 1964, but it wasn’t broken until 1981 when Jan Stenerud connected from 53 yards. Starting in 1947, Fritsch’s playing time diminished, and by 1950, he played little other than to fulfill his duties as a kicker.  After Fritsch was bypassed in the NFL Draft, the Packers announced his signing as a free agent on Feb. 21, 1942. He was signed on the recommendation of his college coach, Eddie Kotal, who had played for the Packers in the 1920s and had been recently hired as their backfield coach. A native of Spencer, a small town located near Marshfield in central Wisconsin, Fritsch didn’t play high school football because there weren’t enough boys in his school to field a team. He attended Central State Teachers College, now the University of Wisconsin-Stevens Point, and played football there, but was virtually unknown. At the time, NFL teams didn’t send scouts on the road and used college football preview magazines to make their draft picks. It also helped that Fritsch had been rejected for military service due to a perforated eardrum and was available to play immediately despite the player shortage caused by World War II. In January 1944, Fritsch signed a contract to play baseball with the Los Angeles Angels of the Pacific Coast League. He wound up playing 38 games that year with three Chicago Cubs farm teams: Los Angeles, Nashville and Portsmouth, Va. Fritsch also saw spot duty with the Oshkosh All-Stars of the National Basketball League. In April 1946, Fritsch signed with the Cleveland Browns of the newly formed All-America Football Conference. “We had been seeking a smashing, driving ball carrier and he completely fills the bill,” a Browns spokesman said at the time. However, Fritsch soon regretted his decision, especially after Packers coach Curly Lambeau called it “an act of ingratitude.” In August, Fritsch was given his release by the Browns and rejoined the Packers. In nine seasons in Green Bay, Fritsch played in 99 games and started 68, all at fullback.  The Packers waived him on Sept. 25, 1951, on the final cut-down before the season opener. On March 4, 1952, Fritsch was named football coach at Green Bay Central Catholic High School. He held the post for 15 years, although the school moved into a new building in 1955 and was renamed Premontre. In 1986, the school named its football stadium in honor of Fritsch. Ted Fritsch Field is now home to Green Bay’s Notre Dame Academy team. Fritsch’s son, Ted Jr., played seven seasons in the NFL in the 1970s with Atlanta and Washington. Born Oct. 31, 1920, in Spencer, Wis. Given name Theodore Edward Fritsch. Died Oct. 5, 1979, at age 58.